In his recent book Irresistible: Reclaiming the New that Jesus Unleashed for the World, Andy Stanley argues that an unwarranted "substitution" has often caused much confusion for those of us in the Jesus movement. Sometimes, Biblical words are "translated," that is, a Hebrew or Greek term will be translated into an English word that has the same meaning. But in other cases, some Biblical words are not so carefully translated from the original. Rather an English word is "substituted" for a Biblical word, and the substitute-word actually means something quite different. This happened, Stanley argues, with the word "church." Jesus said, "I will build my ekklesia"" (a Greek word meaning "an assembly of people"). But when an early German translation came to this word, the translator used the German word kirke, from which we get our English word church. The German word means "house of the Lord" or "temple"—that is a physical building. But of course, that's not what Jesus meant. He never said, "I will build my bricks-n-mortar structure." Rather Jesus was starting something new, a movement of assembled people who were his disciples. Stanley argues that repeatedly, in our English Bibles, ekklesia is translated "church" when it should be "a people assembly." Andy Stanley believes -- and rightly so it seems -- that we do better to understand that Jesus fully intended that the power of the gospel is best communicated through a dedicated people, "a new assembly signaling a new movement." People who live and move and communicate—the life-changing message and power of Jesus is best brought to a lost world through the dynamic of dedicated people, and not merely through constructing buildings. This recent Sunday, we reflected on the compelling story of Enoch, a man who uniquely walked with God midst generations of people who merely lived, had children, and died. A man who knew the Lord personally, whose life was oriented to the truth he heard from God and communicated to others (cf. Jude 14-15). A man who walked with God and so pleased God in that walk that eventually, God simply "took him" home, bypassing death. Christ Community "Church"—you and me together—are an assembly of Jesus' disciples. What power there is when we all, together, choose to walk with God the way Enoch did, the way Abraham did, the way Moses and Joshua and Deborah and Hannah and David and Jeremiah and Daniel did. 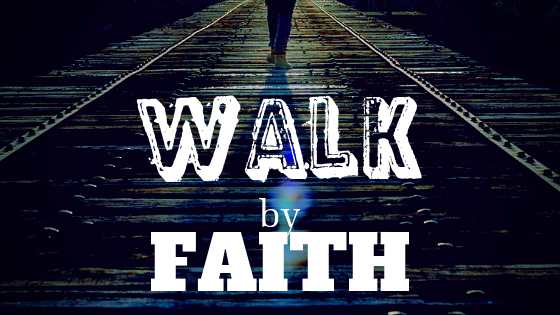 Walking each day by faith and in faith. God "making our days"—inviting him into everything. In this way, together, we can be used by the Spirit of God flowing through us to make a substantial and eternal difference in the lives of people around us, and for the kingdom of our Savior.